A member of the Indian Administrative Service (IAS) since 1971, Mr. Meleveetil Damodaran has held a number of important positions in both the Central and State Governments and in India's Financial Sector, before demitting office as Chairman, Securities and Exchange Board of India (SEBI) in 2008. After a career spanning several regulatory and developmental assignments in the state of Tripura, he was appointed as its Chief Secretary in 1992, the youngest ever in the country to hold such a position in any State Government. Thereafter, he worked as Joint Secretary in the Ministry of Finance, Banking Division, for five years, dealing with Government's ownership functions of Public Sector Banks and being its interface with Reserve Bank of India (RBI). In 2001, he was appointed the Chairman of Unit Trust of India (UTI) to rescue India's largest and oldest investment institution which had collapsed. His restoring of UTI to health and strength is widely acknowledged as the most successful turn around story in India's Financial Sector. He was simultaneously given charge of Industrial Development Bank of India (IDBI), another of India's major financial institutions, which too was restructured by him in an innovative manner, pulling it back from the brink, transforming it to a bank, and merging it with another commercial bank. As Chairman SEBI, he brought improved practices to India's securities market. During his tenure at SEBI, he was elected Chairman of 80 member Emerging Markets Committee of the International Organisation of Securities Commissions (IOSCO). He is presently Advisor and Chief Representative in India for the ING Bank of Netherlands and a director on Boards of some of India's leading companies. He is the founder of Excellence Enablers, an initiative that focuses on improvement of Board performance, including audit and evaluation, better corporate governance, training of directors and engagement with stakeholders. He is the Chairman of Glocal Healthcare Systems, a pioneering pan-India effort to provide quality healthcare at affordable costs to Indians in the underserved rural areas. He is Chairman of the Government of India constituted Task Force for setting up the Resolution Corporation of India. He was the Chairman of Ministry of Corporate Affairs Committee for Reforming the Regulatory Environment for doing Business in India and also the Reserve Bank of India Committee on Customer Service. He has been appointed by the Government of India as the first Chairman of the Society and Board of Governors of the Indian Institute of Management (IIM), Tiruchirappalli. He is widely acknowledged as one of India's foremost champion of Corporate Governance and has won several awards for Leadership, Governance, Transformation and Public Service. His areas of expertise include Corporate Governance, Organisational Restructuring, Financial Management, Securities Market, Public Administration and Leadership. 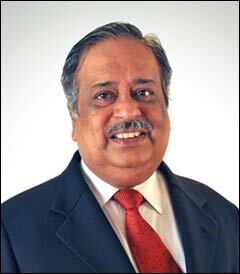 He is presently an independent consultant and corporate advisor, coach and mentor.